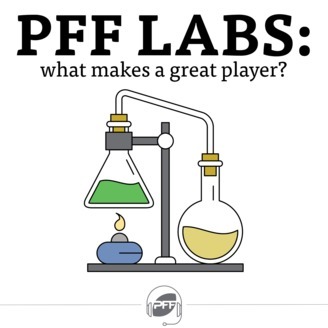 PFF Labs: What makes a great player? 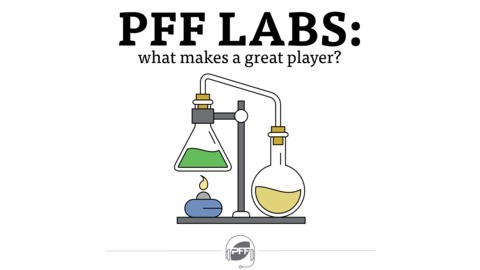 Pro Football Focus data powers discussion around players at all levels of football. From high school, to NCAA, to the NFL, Wes Huber and Cam Mellor track and break down the development of football's future stars. Just a few weeks into the college football season, hosts Cam Mellor & Wes Huber take a look at the potential impact of sophomore athletes across the nation, who had some very good debut seasons with their respective universities. Be they redshirt-sophomores or true sophomores, the hosts discuss their specific traits that made these athletes stand out among the rest with our exclusive PFF signature stats. Ep 1: Top End 40-Yard Dash Times & NFL Production: A Real Correlation?